An excellent extension a must have. I install this application to respect Edward Snowden and Electronic Frontier Foundation which he supports. 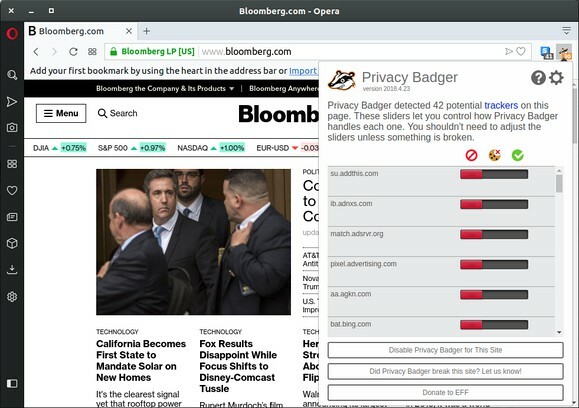 An effective privacy tool and adblocker; but only for advanced users. 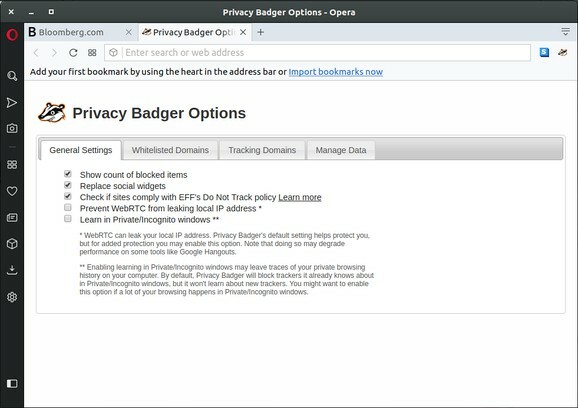 * Import and export Privacy Badger options and URL block list. 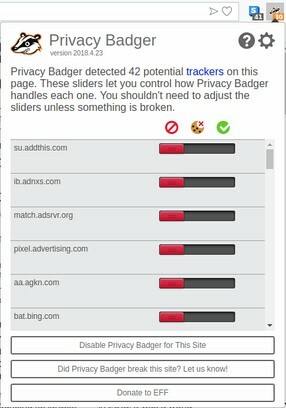 * Black List - It's better if it allows us to add an URL and block it. * Filter URL list so that I can list only new URLs, blocked URLs or allowed URLs only. * Auto Cleanup - When I blocked somesite.com all other rules with this domain (such as app.somesite.com, img.somesite.com) can be cleared!